In the aftermath of last year’s terrorist attacks, especially after the Manchester Arena attack, the Survivors Assistance Network (SAN) team received numerous calls from parents and carers worried about the way that the attacks had affected their children. We also received calls from schools and staff asking how best they could support their students. This included those who had been directly affected as well as children upset by scenes they had seen on the news. Schools are in a unique position to talk to children about the attacks, because they provide the stability and routine that is often helpful for managing anxiety. Try to calm fears as much as possible and help put things in perspective. Events such as the ones which took place last year are horrific, but extremely rare acts of violence. Schools should highlight community cohesion and the shared values experienced there throughout this time. Doing this will ensure that pupils are not overwhelmed and provides a strong counter narrative to potentially polarising influences. A way to build resilience against extremism is to ensure that pupils understand how extremist ideas establish themselves and what extremists are trying to achieve. The Government’s Educate Against Hate website contains useful content on how to talk to children about extremism. Encourage children to ask questions and listen to their concerns. If you don’t know the answer to their questions – though remember there is often no right answer to questions about terrorism – perhaps you can try to find out together. You can visit the Survivor’s Assistance Network website for more information, and the PSHE Association provides specific resource for discussing a terrorist attack with young people. Asking questions is a good thing. It means that children trust you and it’s better than them keeping things to themselves and worrying alone. However, while it is important that children are able to speak freely, this must be done safely, and with the rights of others in mind. It’s important to encourage children to think about the issue from a different perspective and it can be helpful to provide examples which dispel commonly held pre-conceptions. When it comes to dealing with trauma, there is no one size fits all solution, as individual reactions to traumatic events depend on so many factors, including previous trauma, current mental health and vulnerability. 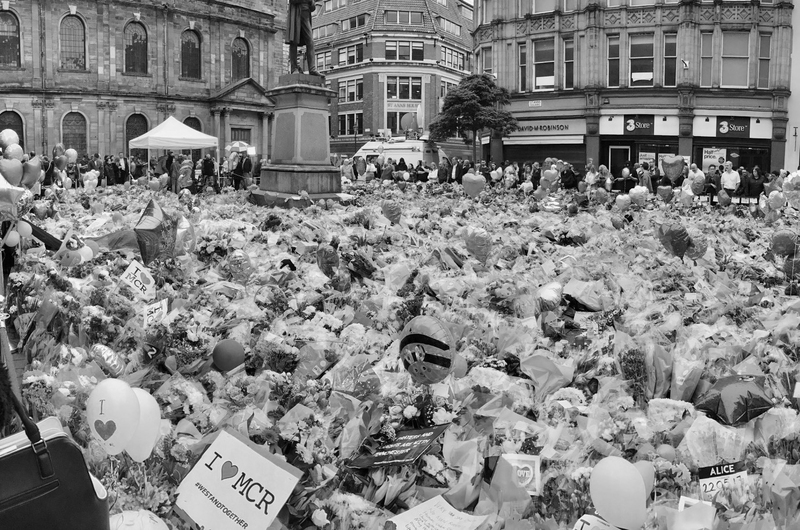 At the time of the Manchester Arena attack, teachers and schools across the country did an incredible job doing what they felt was best for their students, and SAN saw a range of different responses. This included allowing extra time for exams, providing quiet spaces and educating students about how to be supportive and sensitive to their friends. Above all, it’s important that students know that they are not alone, that they are having a normal reaction to an abnormal event, and to encourage them to accept support from family, friends and teachers. People do care.